Sending out some New Year party invitations is just what every New Year party needs. 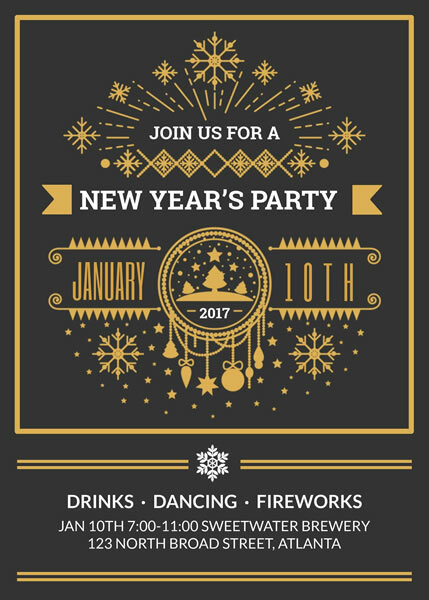 Take your party cue from this stunning New Year party invitation template. This makes harmonious gathering for images and text to catch your attention. There's enough room for your party details. Just customize it to get your message across.